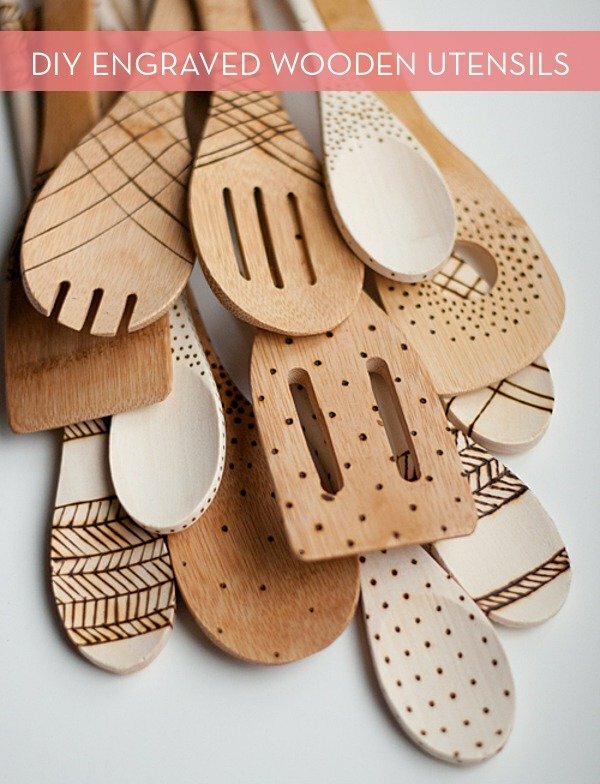 Etched wooden spoons: so simple, so brilliant, and totally one of those "why didn't I think of that?!" projects! Not only is this a fun, easy DIY idea (and a great way to experiment with wood burning engraving techniques), but a few of these wooden utensils bundled together would make a great gift! Buy your wood burning hot pen here. Check out the tutorial over on DesignMom! These look really pretty but I wonder whether they would be difficult to clean? You wouldn't want any nasty bacteria lurking around in those grooves.... Maybe it would be best to just decorate the top part of the handles ?